Sanctions may be lifted as a result of the recent nuclear deal, but can Iran resurrect its ailing oil industry? Oil is at the heart of Iran’s nuclear program. Iran needs nuclear energy to replace the crude oil and natural gas currently being used to generate electricity, thus allowing more oil and gas to be exported. Without nuclear power, Iran could be relegated to the ranks of small exporters by 2020, with catastrophic implications for its economy and also the price of oil. Iran would doubtless not be averse to possessing nuclear weapons. There is an element of security and also logic involved in Iran’s quest for nuclear weapons, and even the recent nuclear agreement will not shift it an iota from its determination to acquire them. Their logic is that if Israel, India, Pakistan and North Korea can defy the world and get away with it, why not Iran? Neither sanctions nor the threat of war have managed to persuade Iran to relinquish its nuclear program and its pursuit of nuclear weapons. The final nuclear deal only delays, probably by a few years, the day when Iran acquires nuclear weapons; it is determined to do so and will face down the United States, the European Union, Israel and the world community, and will get away with acquiring them. The US and its allies can do nothing militarily, economically or with sanctions. It is even possible that the US and its allies, including Israel, would eventually end up acquiescing to a nuclear Iran and who knows, they might even end up forming an alliance made up of the US, Israel and Iran to siphon off the oil and energy resources of the Arab gulf countries. From a peak production of 6 million barrels a day (mbd) and crude oil exports of 5.7 mbd in 1974, Iran in 2014 was struggling even to produce 3.15 mbd with net exports down to 1.00 mbd. And if the current trend continues, Iran could cease to remain an oil exporter altogether by 2030. It has not managed to achieve its OPEC production quota of 4 mbd since 2000. The decline in Iran’s oil exports over the last few years was not solely due to tighter sanctions, but mainly to fast-depleting old oil fields whose reservoirs were damaged in the 1970s from excessive production under the Shah. Since then Iran has never had the chance to repair its damaged oil industry, what with war with Iraq from 1980-1988 followed by stringent sanctions because of its nuclear program. Given the problems in its oil fields, nuclear energy will enable Iran to replace 93 per cent of the oil and gas, or an estimated 1 mbd, used in electricity generation by 2020. Based on these figures, Iran’s quest for nuclear energy seems justifiable. Iran’s final nuclear deal will eventually lead to the lifting of almost all the international sanctions against it within a few months. This means that Iran could, in the fullness of time, be able to attract badly-needed foreign investment and import advanced Western oil and gas technology, such as enhanced oil recovery (EOR), needed to repair the damage at its reservoirs and raise crude oil production. to deploy the EOR technology. Even then it might only succeed in limiting the fast depletion in its oil fields rather than increasing production. Moreover, given current market conditions, only limited international investment will likely be available to help increase Iran’s production. At today’s oil prices, investors are cutting back everywhere. Such realities cast major doubt on Iranian oil minister Bijan Zanganeh’s recent claim that if sanctions were to end, Iran will double its oil exports within two months. Iran could add no more than 300,000-500,000 barrels a day to its production, but even this may not translate into added exports because of the steeply rising domestic consumption. As a result, lifting the sanctions against Iran will hardly affect the global oil prices or the global oil market in the long-term. Any initial impact could be the result of Iran releasing some of its alleged stored crude oil on tankers or floating containers to the market, but the impact will be short-lived and very limited. However, Iran might benefit from the development of its huge natural gas reserves. With technology and investments, Iran could substantially raise its natural gas production and export a sizeable amount of it to Europe in the form of natural gas and LNG, thus competing directly with Russian gas supplies to Europe and with Qatar’s LNG exports. 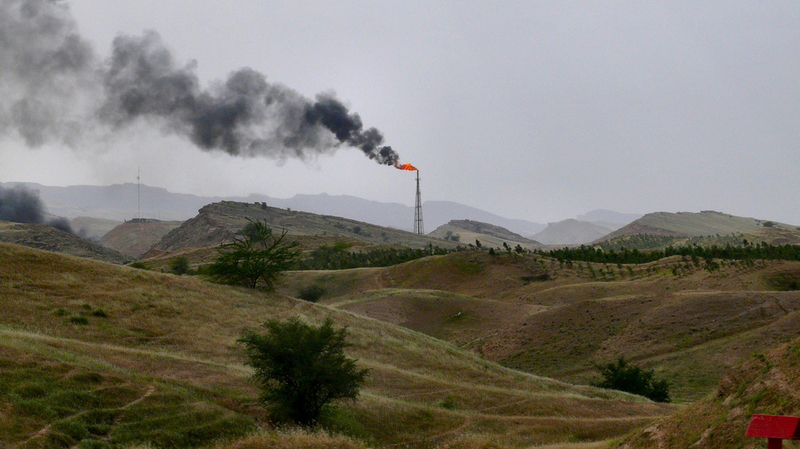 Lifting the sanctions on Iran will facilitate its efforts to remedy its ailing oil industry; raising its crude oil production and exports will, in the future, be influenced by factors beyond Iran’s control – such as the glut in the global oil market and the curtailment of global investments resulting from the current low oil prices, as well as geological factors. Dr Mamdouh G. Salameh is an international oil economist. He is also a visiting professor of energy economics at the ESCP Europe Business School in London. Dr Salameh holds a PhD in Economics specialising in the economics and geopolitics of oil and energy.